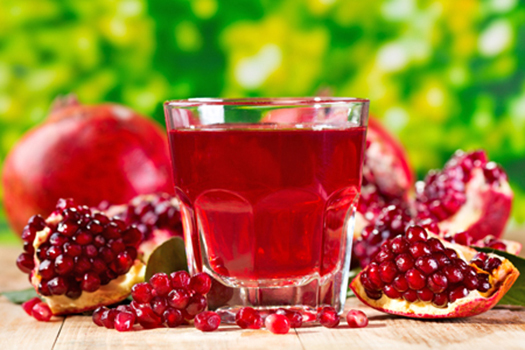 Pomegranate juice has already shown cytotoxicity to a variety of cancer cell lines in lab studies. This has been further validated by pre-clinical studies on lab animals showing that oral feeding of pomegranate extract inhibits the growth of lung, skin, colon and prostate tumors. So compelling is the lab evidence that ten clinical trials have been registered with the NIH to use pomegranate extract against cancer (nine trials on prostate cancer, one on follicular lymphoma). Clinical success has already been demonstrated in a Phase II trial for prostate cancer: PSA doubling time was significantly increased for those patients taking a pomegranate extract in pill form which is equivalent to eight ounces of pomegranate juice. Now it appears that pomegranate juice may also be effective against breast cancer. Researchers at the University of California Riverside applied two different concentrations of pomegranate juice (one and five percent) to ER+ and ER- breast cancer cell lines (MCF-7 and MD-MBA-231) as well as to healthy cells (MCF10A). The result: one percent juice completely stopped cancer cell growth in both cancer cell lines, while five percent juice stopped growth and also killed significant portions of the cancer cells. More importantly, even the one percent juice stimulated the expression of genes that suppressed the metastatic process in several ways. 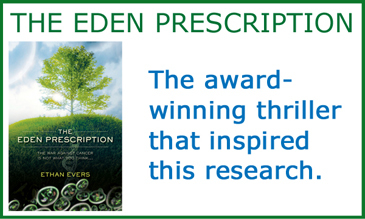 First, cancer cell adhesion was significantly increased, which is important in keeping the cancer cells clumped together so they don’t invade neighboring tissues. Second, the ability of the cancer cells to migrate was significantly suppressed. Third, the chemical attraction of the cancer cells towards bones (chemotaxis to SDF1-alpha) was markedly decreased (thereby inhibiting bone metastases). Most impressive of all was that none of these effects were seen on the normal breast cells. In addition to the above effects, the pomegranate juice potently suppressed pro-inflammatory cytokines/chemokines while increasing the levels of anti-inflammatory cytokines. This is important, as increased inflammation is now understood to accelerate the metastatic process, and cancer patients with increased inflammation markers usually have a worse prognosis. Achieving the one percent concentration of pomegranate juice as used in this study might not be easy since it would translate into a 165 lb (75 kg) woman drinking 24 ounces (three cups) of pomegranate juice, and that’s assuming all the active phytochemicals (ellagic acid, luteolin, punicic acid) are absorbed intact and distributed evenly throughout the body (pharmacokinetic studies tell us that isn’t the case). However, the success in treating prostate cancer with just one cup daily of pomegranate juice (or equivalent pill) indicates that some level of protection is also likely for breast cancer. If you choose to use pomegranate to fight or avoid breast cancer, you may want to consider adding soy (which contains genistein), or a genistein supplement. That’s because a recent study showed that the combination of pomegranate juice and genistein inhibited growth of, and killed, MCF-7 breast cancer cells better than either agent alone.